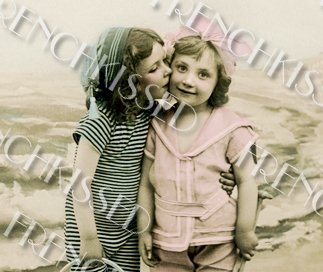 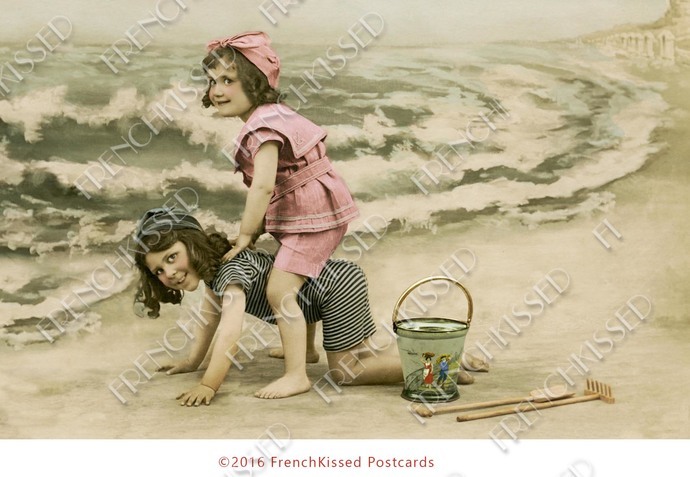 This is a scan of an antique French postcard, one in a rare series that depicts Zezette's day at the beach with her friend Toto. 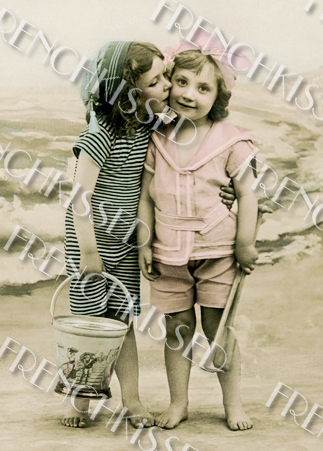 This particular scene was my favorite with a sweet kiss from her friend. 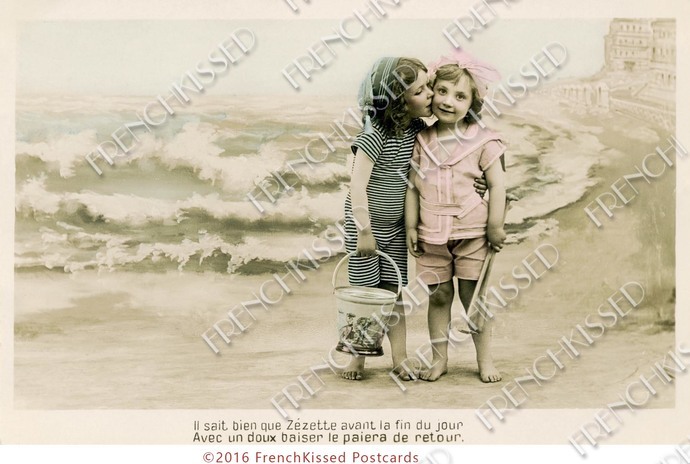 You are buying Photo No.3 with Toto kissing Zezette: 300 dpi Personal Use Only at about 5.5 by 3.5 inches (typical antique postcard size).